Doug Fister stymied the Yankees for seven innings and the Red Sox offense supplied three home runs in a 4-1 Boston win on Friday night at Yankee Stadium. The victory evened the series at a game apiece with two to play. 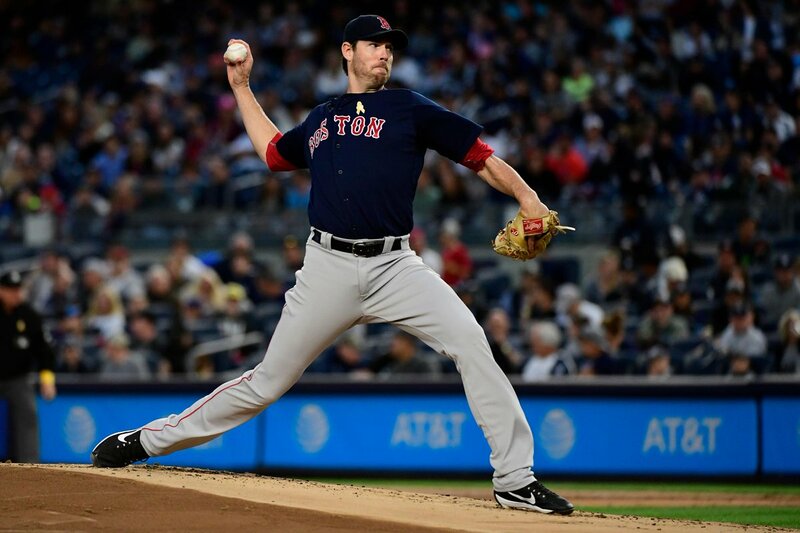 Fister (pictured) gave up one run on just four hits, two of them back-to-back doubles in the bottom of the first inning. He struck out five and only walked one. In his last three starts, Fister has a 2-1 record with a 1.57 ERA. In 23 innings pitched, he has struck out eighteen and walked only five. Trailing 1-0 in the top of the third, Eduardo Nunez slammed a two-run homer to put the Red Sox in the lead. Andrew Benintendi made it 3-1 with a solo shot in the fifth; Hanley Ramirez completed the scoring with his 22nd home run of the year in the seventh. Addison Reed tossed a clean eighth inning and Craig Kimbrel closed the game out for his 32nd save of the season. Dustin Pedroia was back in the lineup and had a single in four at bats. He also made a great defensive play to rob former teammate Jacoby Ellsbury of a base hit.